Register iPhone: how to register a phone? Today there is just an incredible variety of phones, but the leading place in demand, as well as among sales, is occupied by the iPhone. These phones are very comfortable, high-quality and provide a huge number of opportunities, and registering your iPhone will provide even more interesting services and functions. But how well and profitably to register such a smartphone is not everyone knows its owner, although it is not difficult at all. There are several options for implementing the above process, but here will be considered a method that does not require the use of a card (credit card). It is the fastest, easy, convenient, and also accessible to every person, because many people are afraid to enter any data of their bank cards. In addition, a large part of the owners of the iPhone quite enough exclusively free applications. Each subscriber who has an iPhone can register an Apple ID at any time, both when the device is first turned on and long after successful activation. In each case, the scheme is almost completely identical. 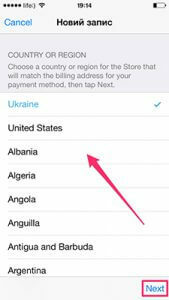 Below will be considered the second option, that is, the formation of an account on the iPhone, which has already been used. IPhone, which has already been activated. Connecting to the World Wide Web via Wi-Fi or an inserted SIM card with the Internet (nothing can be done without access to the Global Network). Take the device you need, unlock it, then find it in the App Store menu, and then click on the corresponding icon. 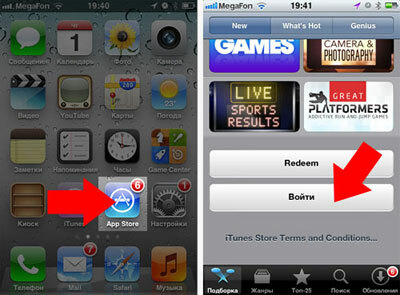 Then you need to pick up some free game or application and install it on your phone. After that, you need to go to the menu item to create an Apple ID. A new account registration window will open. We choose the necessary country, as well as the region. Then you need to accept the terms and conditions that appeared on the page, and then the data entry window will open. Be sure to enter your real email. The password should consist of more than eight characters: numbers, English letters, as well as without fail, at least one capital letter should be available. Password needs to be remembered, but rather write. Specifying the age can not be put less than 18 years, but if you're younger, you can exaggerate a little. It is incredibly important to realize that the entered e-mail, as well as the password will later become your Apple ID. These data should be accurately recorded and well preserved, not showing anyone without telling them. It is required to remember that this information is your account, as well as the only confirmation that you are the owner of this mobile device. If you do not plan to use a credit card, then in the “Payment Details” section, you must select no. Otherwise, you need to specify the payment system, and then enter all the required data. 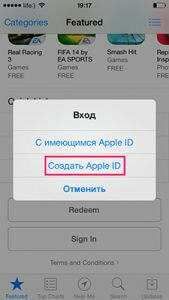 It is necessary to fill in all the information except for the item called ITunes Gift Cards... ". The email you specified some time earlier will receive a message that you need to open and follow the link contained in it. 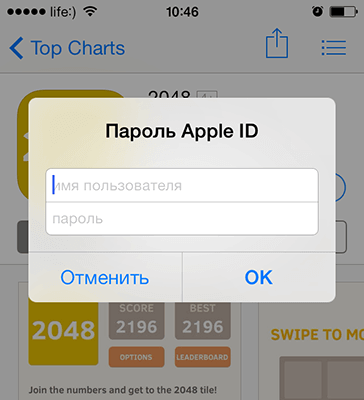 That's all, registration in Apple ID (by the way, absolutely free of charge) is successfully completed. From this point on, you can safely use the store called App Store, download games (as well as making money - paid), as well as various applications onto your iPhone for free. Strictly observing the above instructions and performing step by step you should not have any problems with registration. You will spend the minimum time on this and the slightest effort on your part. Your iPhone will be successfully registered and the area of ​​opportunity will expand significantly, which will give you great pleasure, besides, remember that no money will be spent.